Photos provided by Brian Nichols, John Radcliff, Dave Heywood, Dan Day, Kevin Slick, Ron Adams. 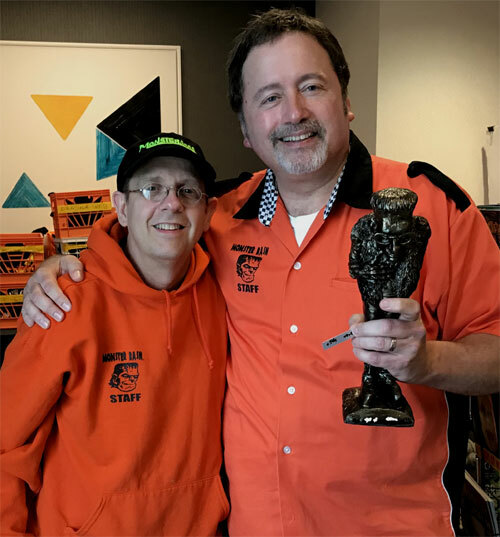 Above: Ron Adams with Scott Goettel (right) recieving his MONSTER BASH LIFETIME AWARD. 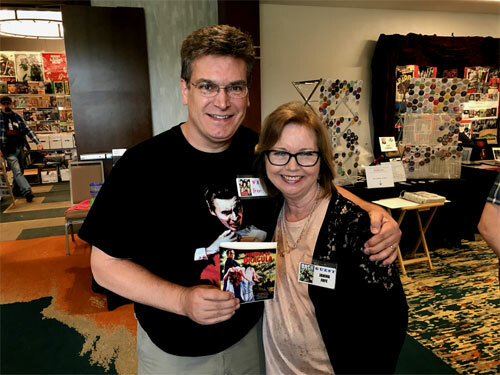 Attendee Brian Nichols with Janina Faye, actress from HORROR OF DRACULA, THE DAY OF THE TRIFFIDS, THE TWO FACES OF DR. JEKYLL and more. My name is John Radcliff and I’m from Los Angeles, California. 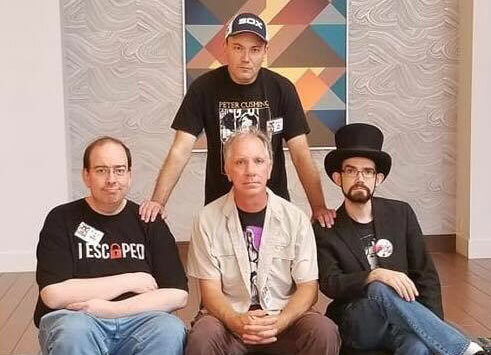 At Monster Bash, June 2018! 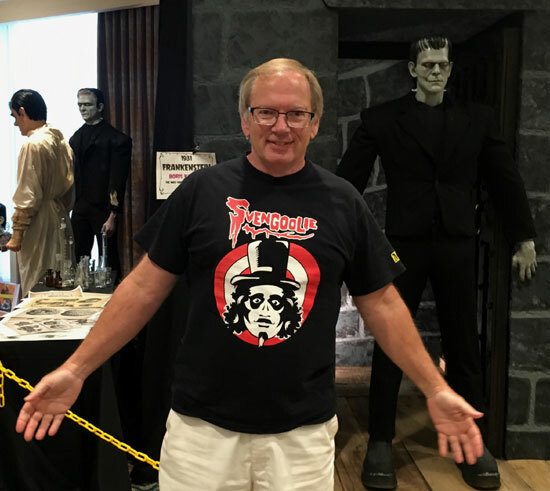 John Radcliff displays his Svengoolie shirt in front of the great Frankenstein display by Bill Luciani, Tony Pitocco and props by Dan Weber at Bash. 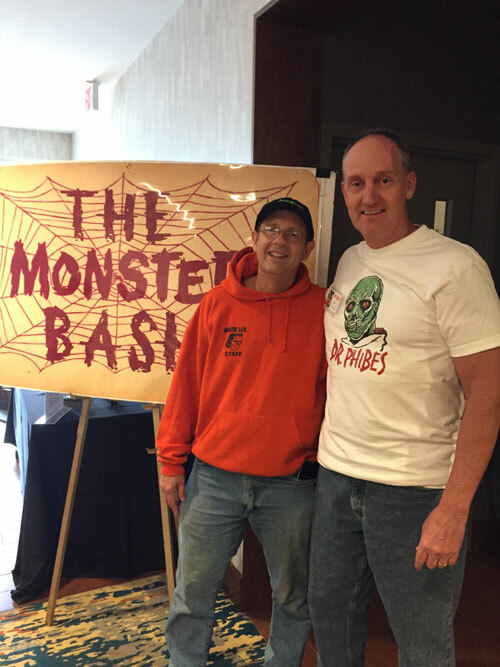 Monster Bash's Ron Adams with sleep deprived, happy attendee Dave Heywood. 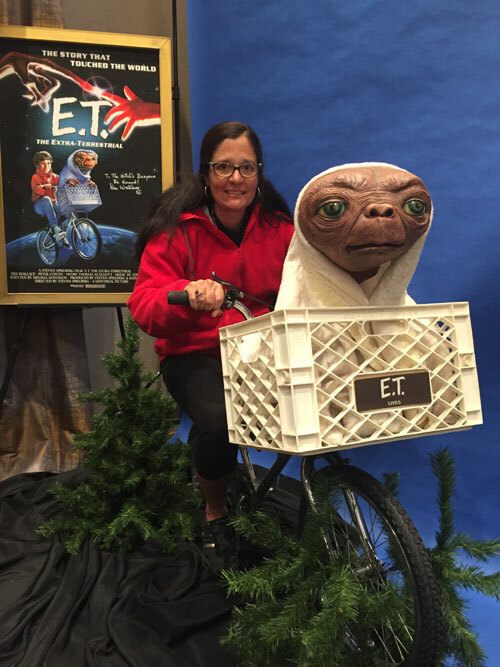 Holly Heywood takes a ride with E.T. thanks to Cortlandt Hull and The Witch's Dungeon at Monster Bash. Attendees Holly and Dave Heywood. 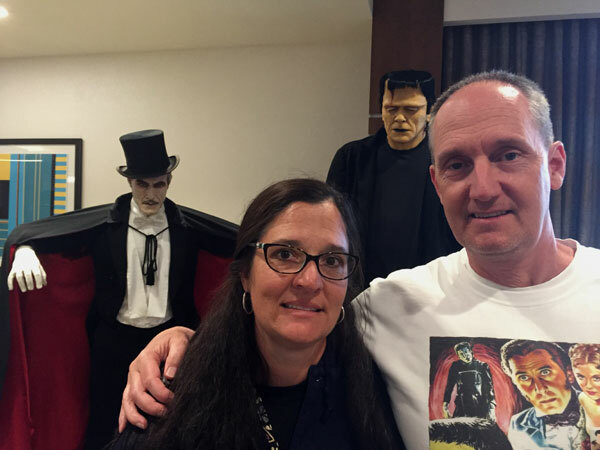 Don't look know but Dracula and The Monster are right behind you! 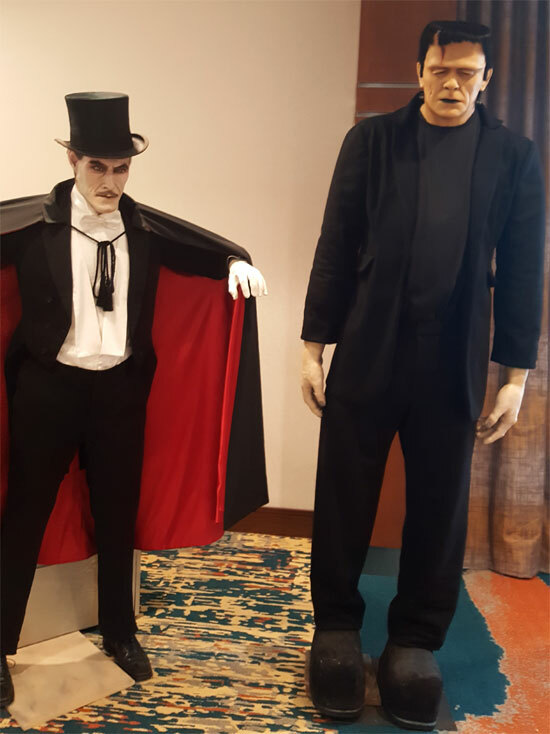 Figures at Monster Bash from Bill Luciani and Tony Pitocco. Holly and Allie Heywood enter McDougle's House of Horrors at Monster Bash. Janina Faye speaks at Monster Bash! 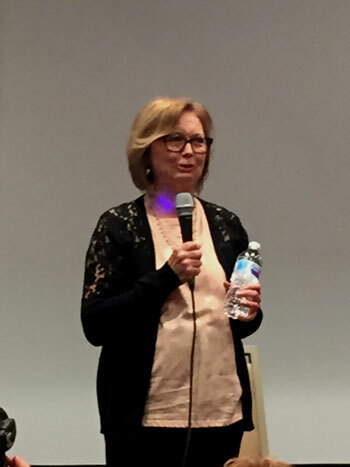 Overwhelmed by her reception in the event room. 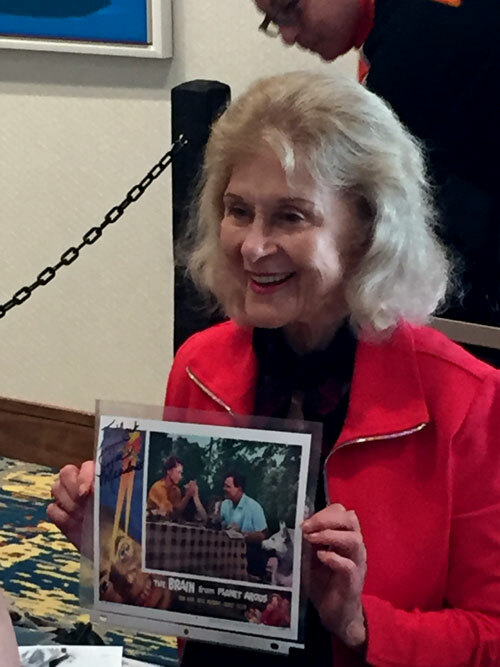 Actress Joyce Meadows (THE BRAIN FROM PLANET AROUS) signs autographs for the fans. 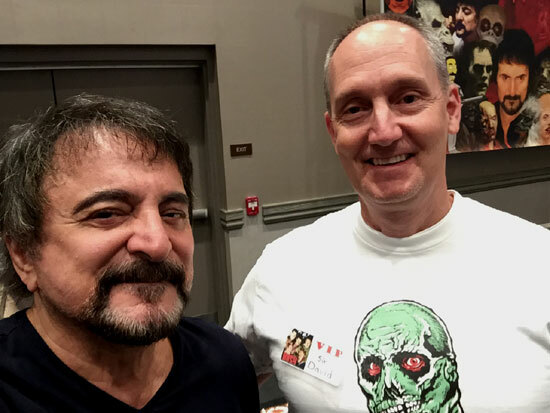 Tom Savini and attendee Dave Heywood at Monster Bash! 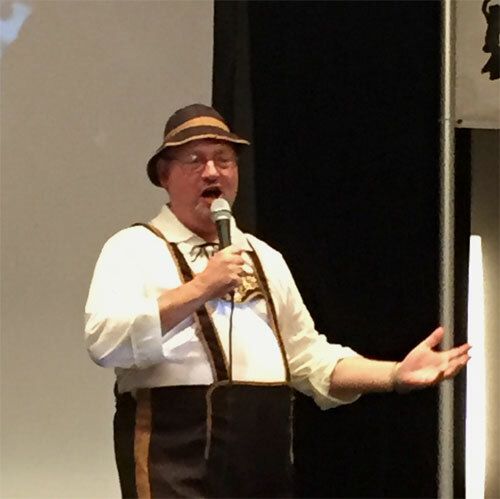 Bob Pellegrino serenades Monster Bash with The Festival of the New Wine song from FRANKENSTEIN MEETS THE WOLF MAN! 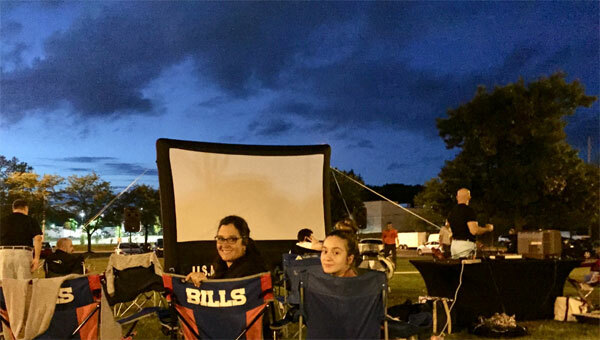 Getting geared up for THE BRAIN FROM PLANET AROUS sceened under the stars Saturday night at Monster Bash,courtesy of The Wade Williams Company! Holly and Allie Heywood smile for the camera. A portion of the dealer ballroom...just getting ready to go on Saturday morning. 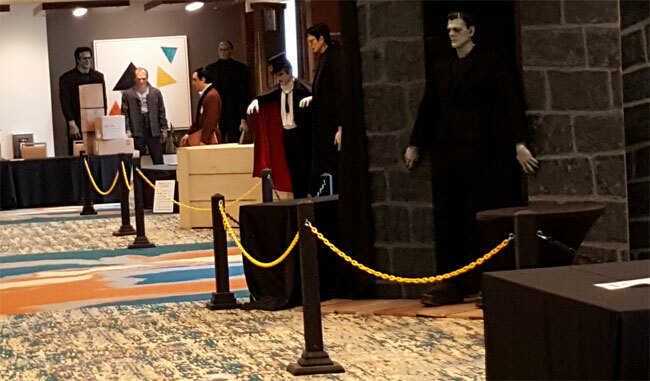 You know you're with the right crowd at Monster Bash when you take the time to set-up a photo like the one of the right, It's THE COMEDY OF MONSTER BASH. 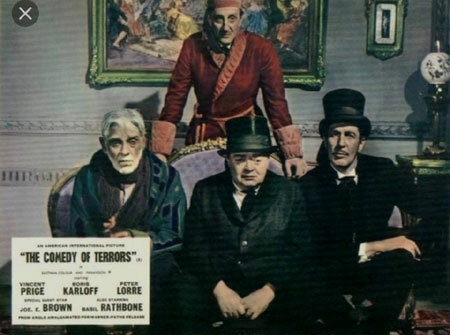 Photo on right: Dan Day Jr. (Rathbone), Tim Durbin (Karloff), Mark Holmes (Lorre), Joshua Kennedy (Price)! 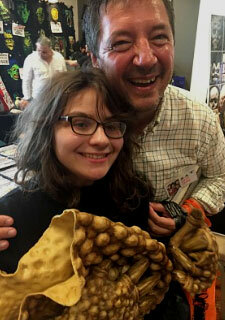 Paisley Adams, fresh out of a Mole People costume, with Monster Bash actor Zach Zito. 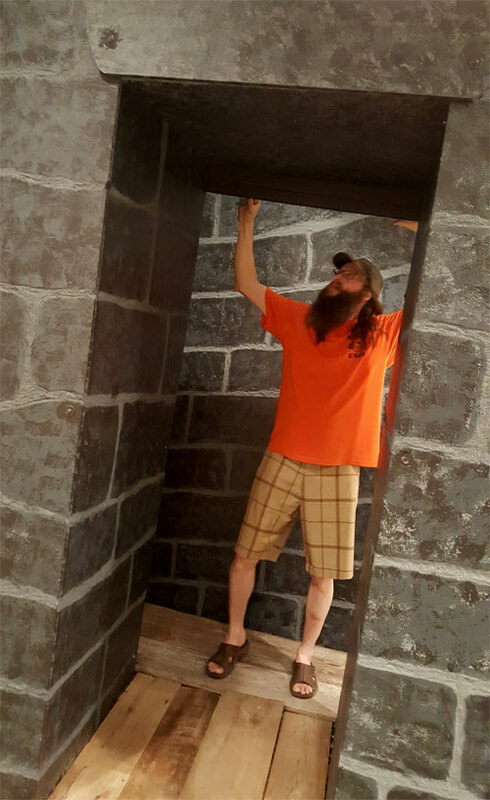 Bash staffer Dan Weber builds a FRANKENSTEIN (1931) doorway! 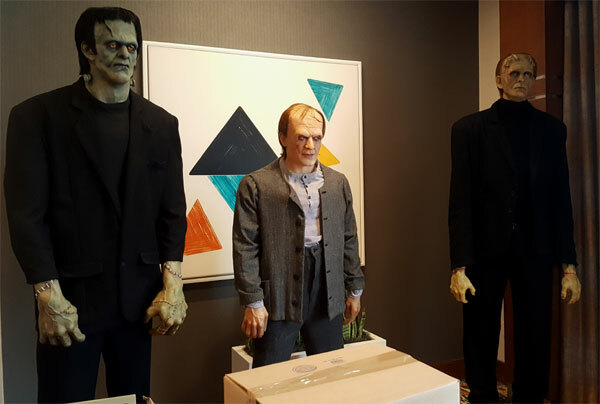 A hallway long of Frankenstein! You only seeing some of them in this picture. An amazing display by Bill Luciani, Tony Pitocco and sets by Dan Weber, lab equipment courtesy of Mike Adams. Test make-up imaginering of Bela Lugosi as the 1931 Universal monster. Sculpt by Tony Pitocco. Family Bash...Monster Bash's Ursula Adams (left), Ron Adams (behind) and Paisley Adams (right). In Bill, Tony and Dan's display. 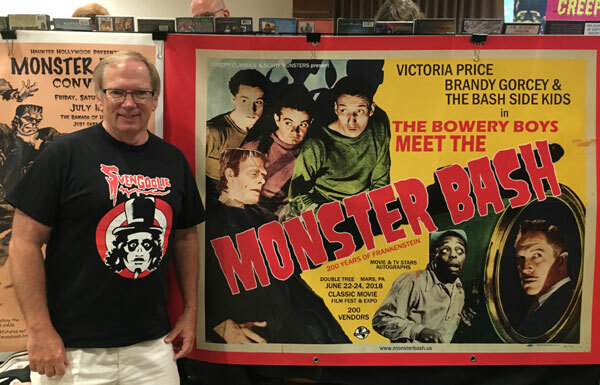 It's Alive, at Monster Bash...thanks to Bill Luciani, Tony Pitocco and Dan Weber. Bad scare day! 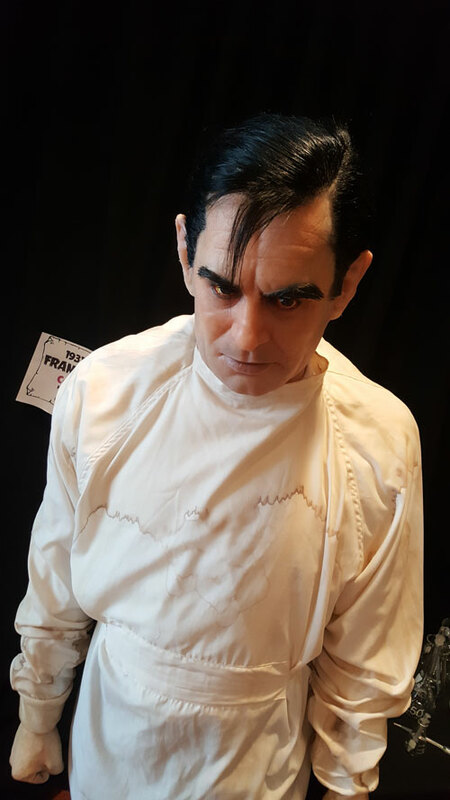 Edison's Frankenstein, sculpt and paint by Tony Pitocco. 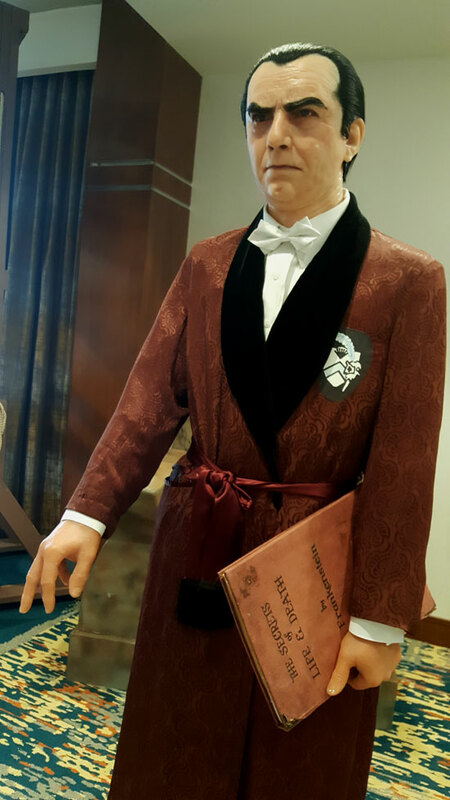 Full-size figure of Colin Clive as Henry Frankenstein created by Bill Luciani and Tony Pitocco. 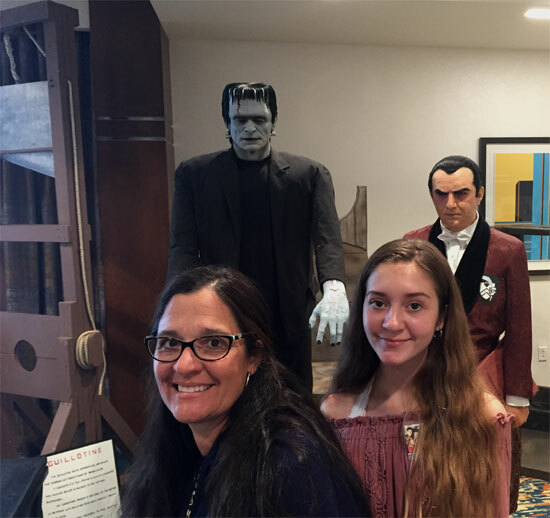 In the Hall of Frankenstein's at Monster Bash. What a likeness! 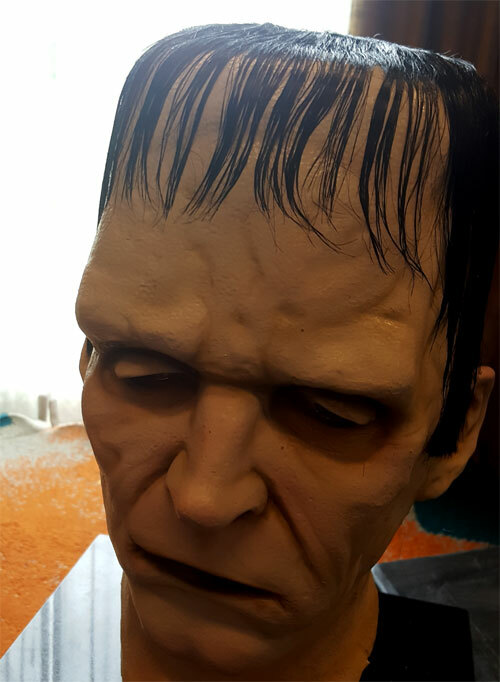 Tony Pitocco's sculpt of Karloff in SON OF FRANKENSTEIN. 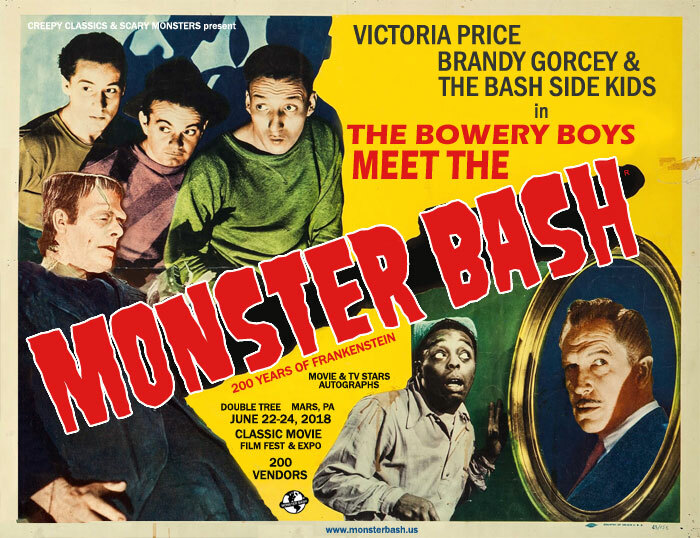 HOUSE OF FRANKENSTEIN (1944) cast members...almost in the flesh, at Monster Bash. 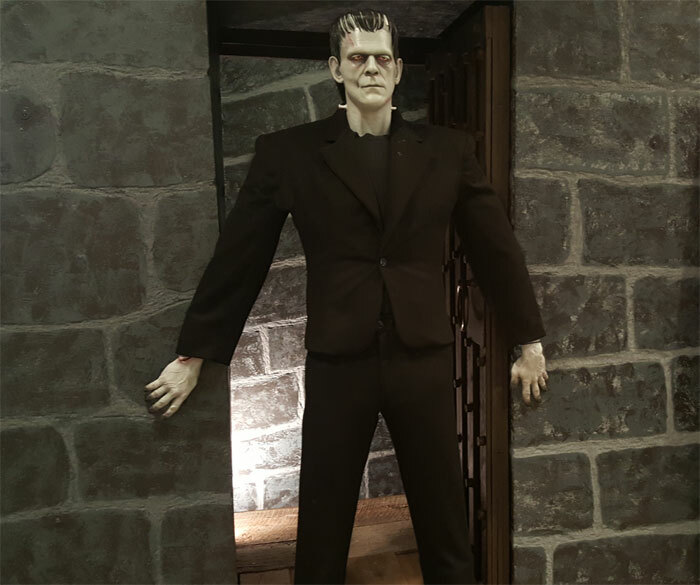 The monster standing over 7 feet tall. 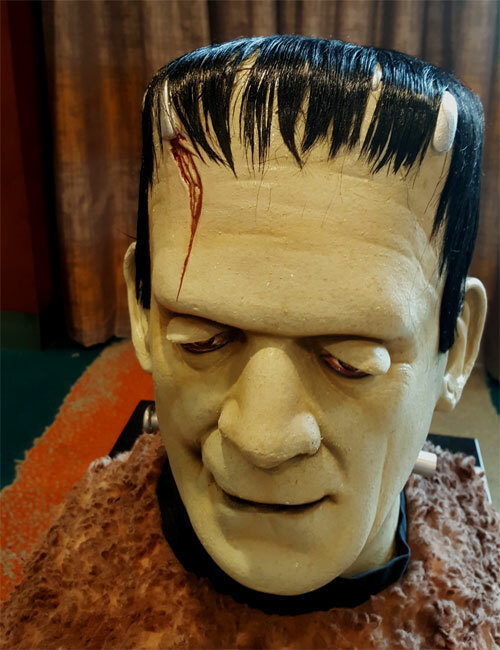 A face only a monster could love...Glenn Strange scuplted by Tony Pitocco on display at Monster Bash. 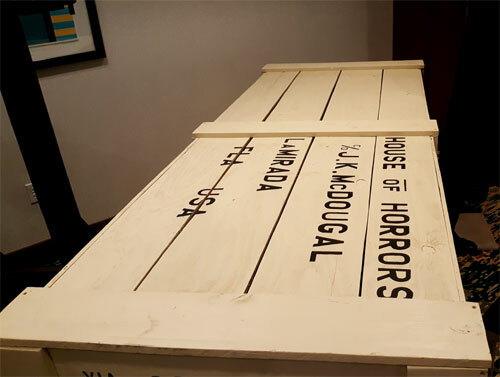 Chic, Wilbur...have this crate delivered to McDougal's House of Horrors at Monster Bash! 9 foot crate by Dan Weber. 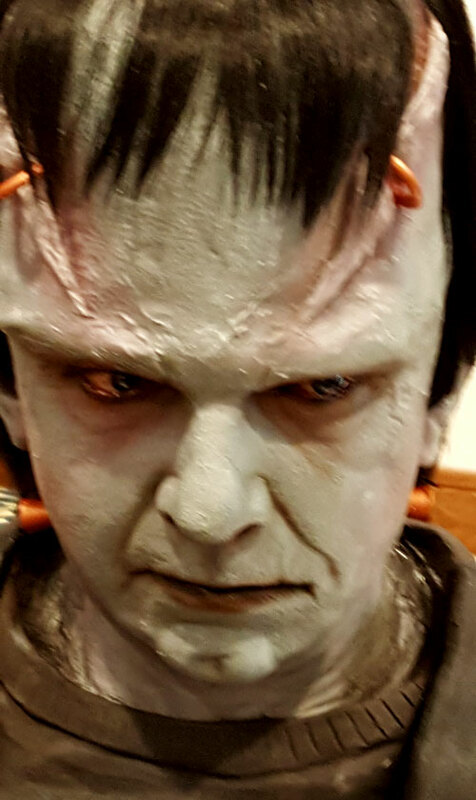 Dr. Laos (a secret identity for Dracula) makes it to Monster Bash. No that's not a program guide in his hand....Figure thanks to Bill Luciani and Tony Pitocco! 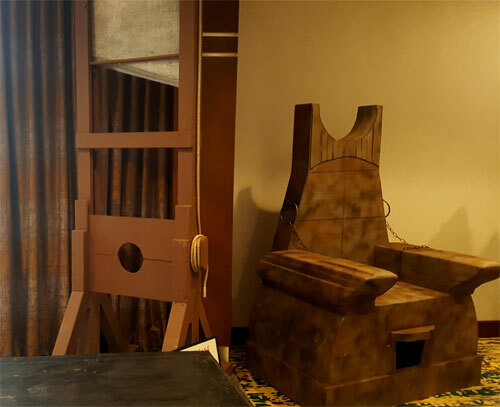 Two replica props from ABBOTT AND COSTELLO MEET FRANKENSTEIN thanks to the skill of Dan Weber. 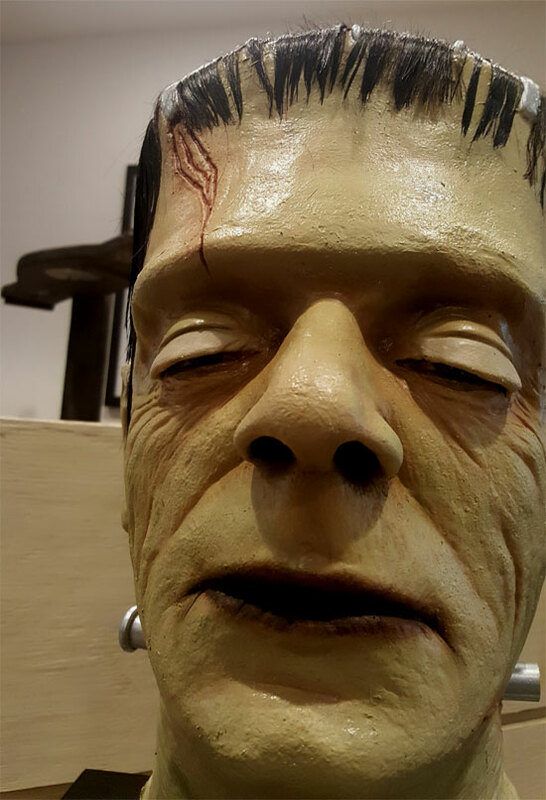 The Don Megowan Frankenstein Monster from TALES OF FRANKENSTEIN. 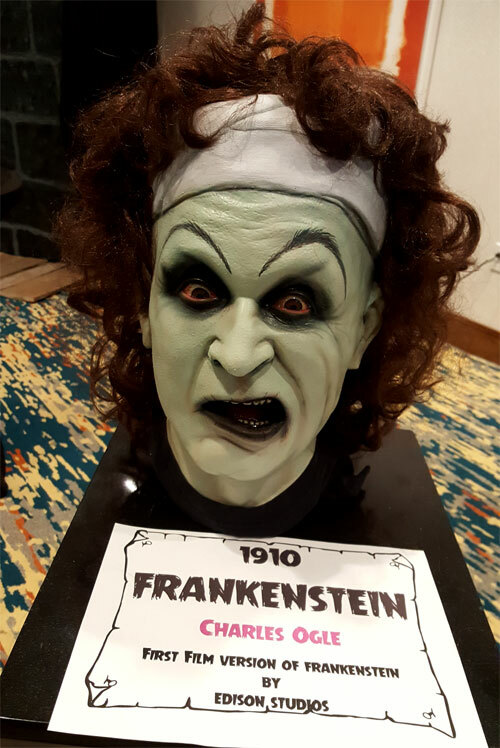 art of the 200 Years of Frankenstein display at Monster Bash. 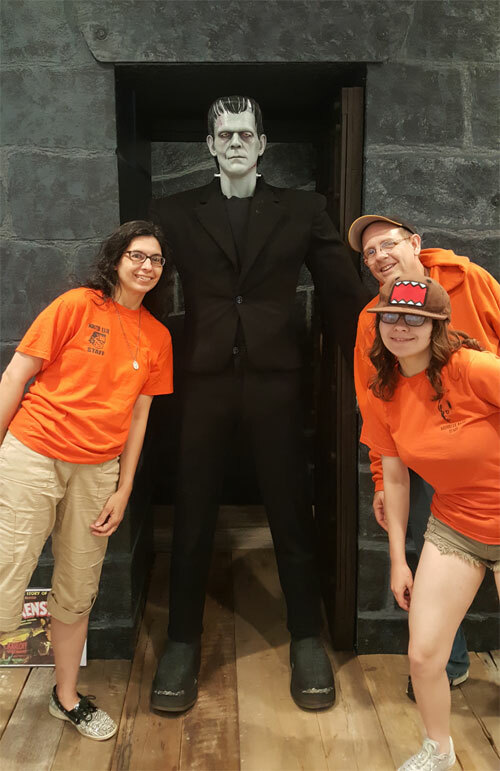 A trio of monsters....the two on the ends are over eight feet tall! All from the Bill Luciani and Tony Pitocco collection. 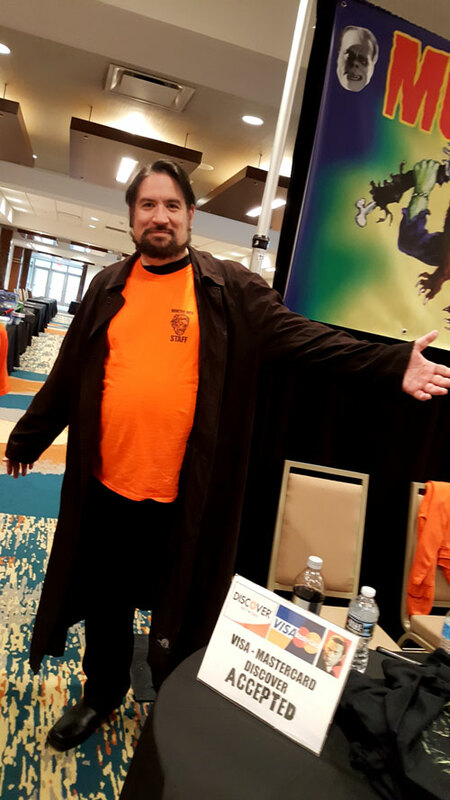 New Monster Bash staffer, and long time friend, John Bishop displays his orange and black!